A relatively recent Sightline Institute post by Margaret Morales explores a key difference between development patterns in Seattle and Vancouver. While Seattle tends to construct lots of purpose-built rental apartments, Vancouver tends to construct condominiums. Why? The post walks us through various explanations, many of which have to do with tax codes. Rental construction in Canada is burdened by bad tax policy, including, for instance, the application of GST to rental construction (many housing advocates were hoping the recent Canada National Housing Strategy would roll back these taxes, but no luck!) On the other side of the border, many Seattleites would actually like to see more condos! Morales provides guidance for what’s holding condo development there back – much of it having to do with insurance policy. On the whole, Morales provides a nice little dive into cross-border policy differences*. Moreover, Sightline is a handy little organization to have around. I’ve been a fan ever since I first came across their old papers (here and here) comparing Vancouver and Seattle in terms of sprawl. I still teach with these sometimes! What do I mean by “artisanal landlords”? Effectively I’m talking about people who own and rent out one or more properties beyond their principle residence, but probably don’t consider themselves professional landlords (I’m sure there’s a reasonable cut-off concerning how many units you might own before crossing over… maybe five?). These artisanal landlords are important for multiple reasons. First, to get back to that Sightline piece, while Vancouver’s mostly been building condos, about one in three condos ends up occupied by renters. *** Effectively, this means about a third of our condo stock is actually treated like rental stock, only controlled by artisanal landlords. Legally, these rentals are subject to both the residential tenancy act and local strata (condominium) by-laws (which in some cases do not allow rentals at all). This sometimes makes for confusing jurisdiction, especially since tenants are often forced to communicate with strata councils through their landlords, and vice-versa. As for the artisanal landlords themselves, they may have limited knowledge of their actual obligations, and if they contract management of their properties out, that adds another level of bureaucracy to an already tenuous relationship. In addition to condo rentals, another huge chunk of Vancouver’s rental stock is made up of secondary suites. Many (though not all) of these secondary suites are carved up from buildings that were once, ostensibly, single-family detached houses. So we get the familiar basement apartments Vancouverites know and *ahem* love, often tucked away beneath their landlords above. Sometimes the above suites are rented out too, and even further subdivided. Pretty much all duplexes are owned by artisanal landlords, many of them on-site. Triplexes and other internally subdivided houses that might be owned by artisanal landlords are trickier to find (grouped in with the non-condo other and low-rise categories above). Then, of course, there are the rented detached houses, which in most cases are likely also owned by artisanal landlords. Combining the three likely artisanal (or smallholding) landlord types, we see they make up the majority of rental situations in Vancouver (as well as in Calgary). Other rentals, especially low-rises (which may contain as few as three units) and townhouses, may also be run by smallholding landlords, but are more likely to have professional landlords. The difference between artisanal and professional landlords matters for how well different rental units are run, how often discrimination occurs (see my past scholarly work on this here), how many protections renters receive, how stable tenancies are likely to be, and how well rental units can be tracked (the CMHC has only recently tried to get a handle on what they call the “secondary” rental market, and Metro Vancouver can only estimate a range for just how many secondary suites exist in the area, echoing my difficulty in pinning them down beyond “likely”). So if we have some idea about how many rental units are likely controlled by artisanal landlords, can we estimate how many artisanal landlords there are? This is actually surprisingly tricky! It’s not a question asked in the Census. But there IS a question asked about ownership of real estate aside from one’s principle residence in Stats Canada’s Survey of Financial Security (tables here). There are caveats to using this measure as a proxy for how many artisanal landlords we’ve got in Metro Vancouver (lots of people own vacation properties elsewhere and non-residential real estate is also presumably included), but it gives us something to work with. 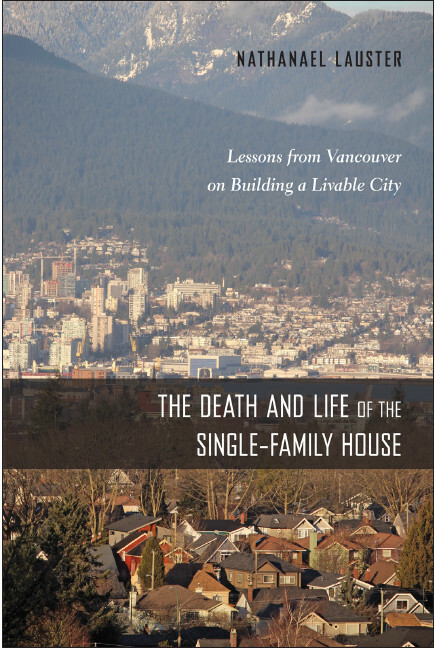 The data suggests that over 20% of Vancouver’s families own real estate aside from their principle residence. **** That’s approximately 216,000 families in all, potentially making for quite a few artisanal landlords (the number has more than doubled between 1999 and 2016). We also know the median value of these holdings, which is CAD$400,000 – about the price of many Vancouver condo units (this value doubles for Vancouverites in the wealthiest quintile). Of course, this probably doesn’t even include those artisanal landlords with basement suites below them, since it’s likely they’re considering their secondary suites as contained within their principle residences. So even though Vancouver hasn’t built nearly as many purpose-built rental buildings as Seattle, we’ve still built lots of units that get rented out. Moreover, artisanal landlords are worth keeping an eye on, both because of what they imply for renters and rental markets, and because they’re likely a potent force in local politics. Considered as a class, they have plenty of plausible reasons to both oppose new purpose-built rentals (competition for tenants) and to cast blame on foreigners (competition for properties). It’s a group worth watching more closely. *- minor note: I managed to rip only a teeny bit of my hair out over the mixing of terms for tenure arrangements (rental, condominium ownership, etc.) with terms for structure arrangements (apartment, rowhouse, etc.). But I suppose when I write a book describing how often people fail to make these distinctions – often justifiably – I really can’t complain. **- I stole the “artisanal landlord” descriptor from Jens Von Bergmann, who may very well have stolen it from somewhere else. ***- notably, this does not include condos not occupied by usual residents, where we do not have data from the census. ****-Of note, the only other major metro area exceeding 20% of families reporting owning RE besides their principle residence is Calgary! Next > What Do Canadians Do All Day?